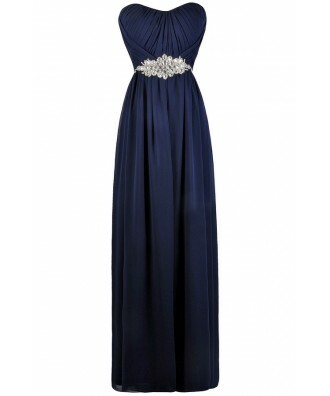 You have added Sparkle Within Embellished Maxi Dress in Navy into shopping cart. This gorgeous chiffon maxi dress is perfect for bridesmaids! It would also work well for prom or any other formal event. 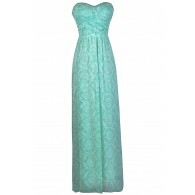 The Sparkle Within Embellished Maxi Dress is fully lined. It has a strapless sweetheart neckline, lightly padded bust, and an empire waist. Pleated fabric at the bust adds interest to this dress. A bold rhinestone embellishment decorates the waist, adding a glamorous touch of sparkle to this look! A band of rhinestones continues around to the back, and a hidden back zipper completes this dress. The Sparkle Within Embellished Maxi Dress looks nice paired with strappy heels! 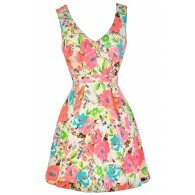 We love this dress because it is simple and bold at the same time! Details: Fully lined. Lightly padded bust. Hidden back zipper. 100% polyester. Lining: 95% polyester, 5% spandex. Dry clean only. Small measurements: Length from top of bust to hemline: 54”. Bust: 32”. 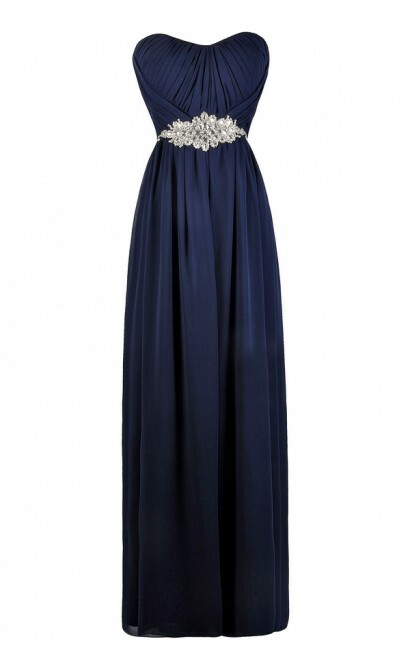 You have added Sparkle Within Embellished Maxi Dress in Navy into Wishlist. 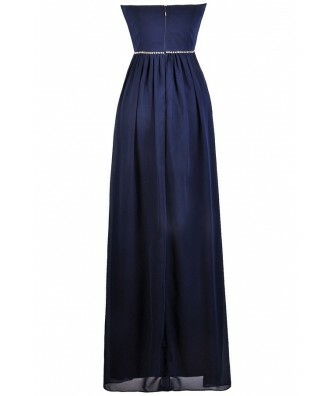 You have added Sparkle Within Embellished Maxi Dress in Navy for Stock Notification. 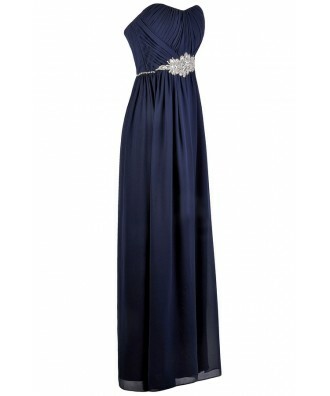 You have set Sparkle Within Embellished Maxi Dress in Navy as a loved product. 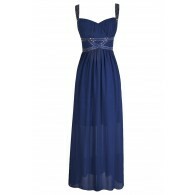 You have removed Sparkle Within Embellished Maxi Dress in Navy as a loved product.